The Community Engagement Network Advisory (CEAN) is made up of members of the public who work to engage the public in the planning and decision making process at Vancouver Coastal Health. As part of a class project, third year Communication Design students at Emily Carr partnered with CEAN to propose communication strategies and materials that would enhance the dialogue between the public and Vancouver Coastal Health. Solutions ranged from printed booklets to social media campaigns and mobile applications. 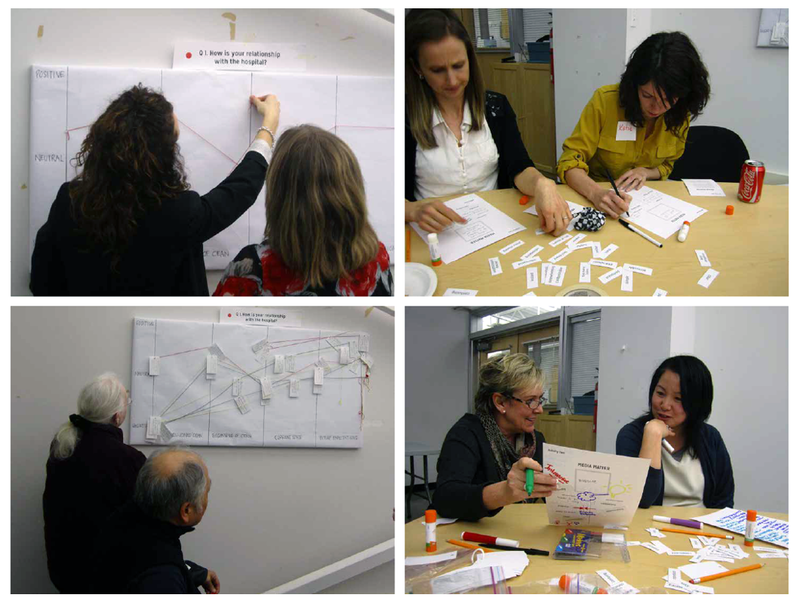 The goal of all the design outcomes was to encourage patient engagement and enhance the relationship between the patients and the health care providers of Vancouver Coastal Health. Students reviewed a range of precedents and literature in order to establish an understanding of the current barriers to community engagement in healthcare. 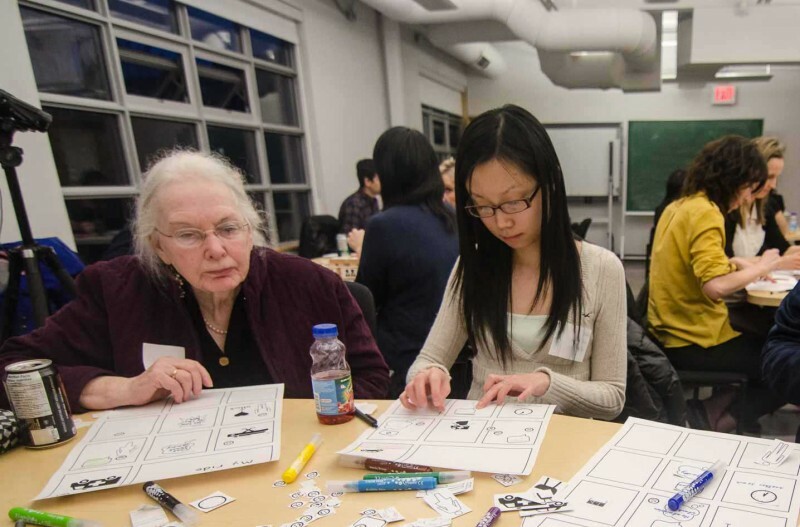 A co-creation session allowed students to gain first-hand input from the patients and staff at Vancouver Coastal Health, as well as members of CEAN. The co-creation activities were designed and facilitated by the students and included building a comic strip of a hospital experience, collages, association clouds, and user journey maps. The goal of these activities was to capture the hospital experience from a variety of perspectives in a qualitative way—accessing the stories that would give insight into how patients and staff were feeling, thinking, and doing. Participants also had the opportunity to envision what the future CEAN could look like. 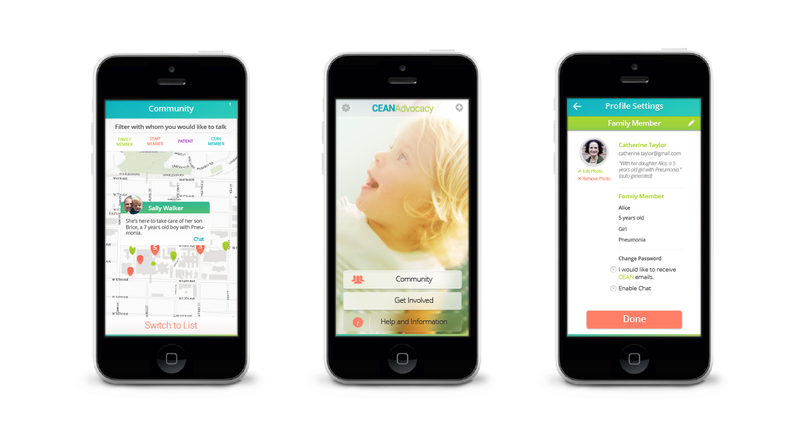 A mobile app designed by students Kayla Heald and Alan Maranho that provides patient advocates and caregivers a way to engage with the CEAN community and tap into shared resources and knowledge. Anthia Chen and Victoria Simansjah designed a website that would allow patients to voice questions and concerns as members of CEAN, while an accompanying print based campaign raised public awareness of the organization and encouraged patients to get involved. 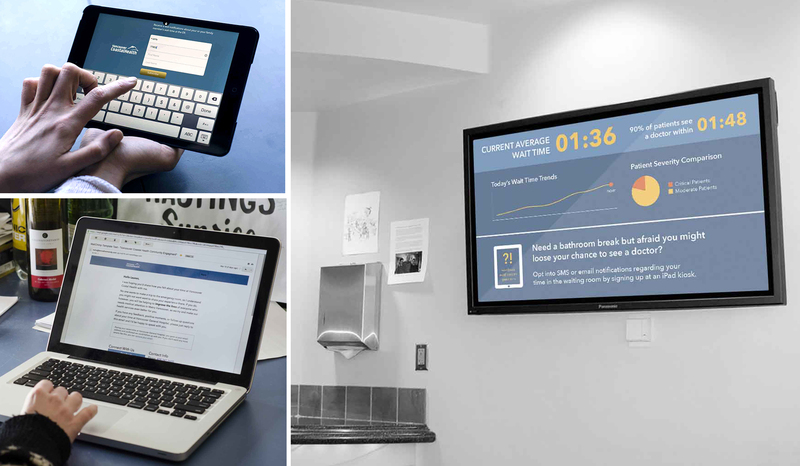 A multi-platform system designed by students Kenneth Ormandy and Geoff Campbell that aims to enhance patient engagement by making the hospital waiting room experience more transparent.